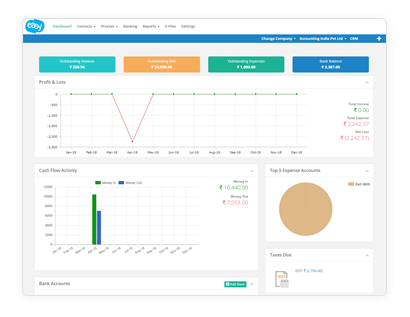 Dashboard gives you an overview of your business finances. 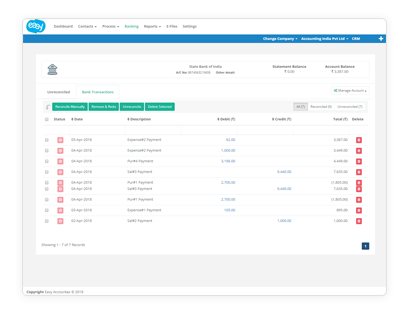 Keep you up to date with your bank balances, outstanding invoices and bills, real-time cash flow and profit & loss. This helps you to keep your business on right track and understanding your business health. Having a complete view of business cash flow is the most important for any business. This gives you an idea on money coming in and going out and help you keep balance in your income and expenses. Cash flow gives you idea on your business making money or burning cash at any given point. Outstanding invoices and bills helps you to plan your cash flow and forecast future cash flow of the business. 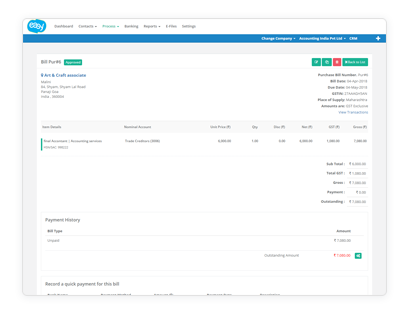 By knowing how much money you have to collect from customers and how much you have to pay to your suppliers you can chase unpaid payment on time. 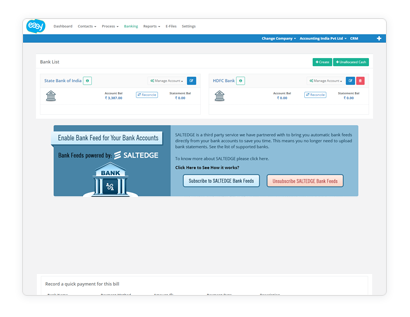 Get overview of your current bank accounts, imported statements right from your dashboard.